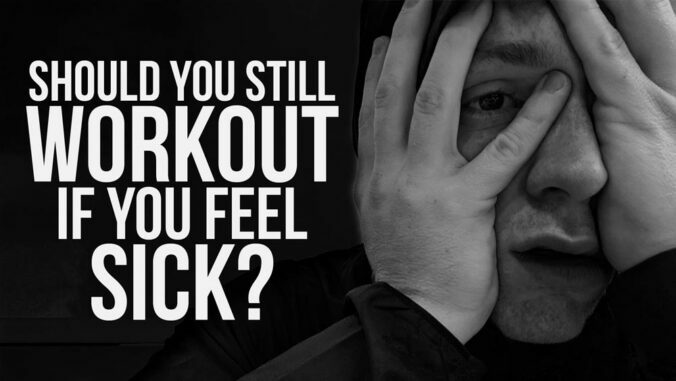 Should you still workout if you’re feeling sick? When doing lunges, make sure to meet your lower body with your upper body by bringing your elbow and opposite knee together. On my way to the gym. Running late. Got out of the office late. Then forgot something and had to head back really quickly. Stopped at seemingly every traffic light that has ever existed. Surely you’ve experienced that. Do you ever skip your warm up when that happens? How much of it do you skip? Do you even have a warm up? There are some parts of a warm up that are absolutely essential. Then there are some things that you can use to “stack the deck”, so to speak, to ensure you’re optimizing your session. A good warm up sets you up for a great workout. Getting frustrated with your progress — or lack thereof? Maybe you’re right and you need to consider a new plan. That’s okay! But you have to know what you’ve been doing. And today I’ll help you set some goals (though you should talk to your coach and come up with a plan together). Maybe, however, you actually HAVE made progress, but you just can’t see it. Let me help you take a step back and evaluate. What do you want to accomplish? Do you want to fit into an old dress? Excellent! That’s easy to measure. When do you want to fit into that dress? Let’s set a timeline. This is where your coach can really come in handy. Not every training method is good for every person. Some people will get a lot out of yoga, but you don’t NEED to do yoga. I don’t mean to pick on yoga. 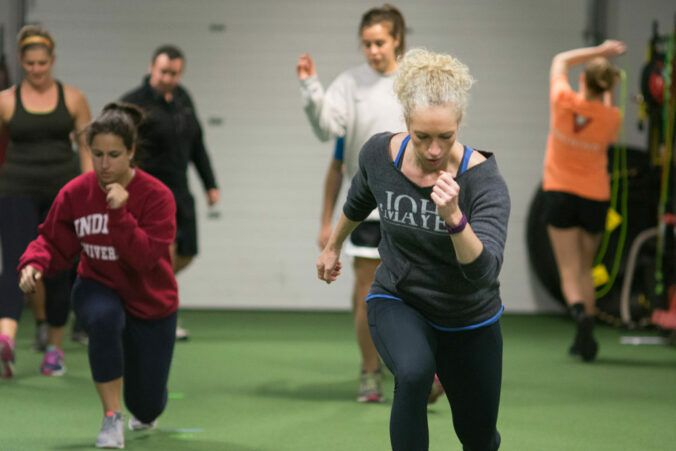 It applies to all training methods: PRI, FMS correctives, CrossFit, whatever. Literally anything. Anyways, since I’ve seen hundreds of different people as I’ve developed my coaching eye, I’ve seen hundreds of different ways that things can play out. I can steer you in the right direction. And when that direction proves to be a little off-target — because plan A never works — I can help you re-align. I implore you to do more than just listing one sentence for your goal. Dive deeper. How will you make this goal a reality? Be specific about your goal specificity. What are some ways you’re going to measure it? When are you going to take those measurements? Who will take those measurements? How often? What would make you change that plan? Think about every. little. detail. Shoot to write at least 500 words on each goal. Write for at least ten minutes. If you don’t have anything to say, sit there and think about it instead. If you’re spinning your wheels, move on to the next goal and maybe that will jog some creative thinking. Sub-goals comprise your BIG goal. What’s the best way to identify them? It happens when you dive deeper into your superficial SMART goal. Not much feels more magical than just continuously unlocking thoughts you didn’t know you were thinking. A lot of people are smarter than they allow themselves to be. It’s just like fitness, actually. What else can you measure? List out sub-goals. Then elaborate on each one of those. I always like to set performance goals along with body composition goals. Looking to shed some fat? You can generally see progress pretty quickly there, but it’s susceptible to fluctuation. How about we also track your work capacity? Maybe your resting heart rate, strength, and subjective well-being, too. Health is broad. What is important to you? Above all else, I want to feel well. That entails strength, cardiovascular fitness, business success, and social connections. Include all of those goals, too! I couldn’t live with myself if I helped you lose weight, but made you into a person you no longer liked. Now I will leave you with some examples of things you can measure. Get your notebook and favorite pen ready. Measure your work output. Maybe try some escalating density training, for example. See how far you’ve come. Tracking your resting heart rate can keep you in tune to your body. Do you feel on top of your day? Do you feel overwhelmed? Do you have a strategy for dealing with stress? If not, find one. Maybe it could be exercise! Are you sticking to your plan? If so, give yourself a check yes! Plan your “cheat” meals. You cannot be 100% ON all the time. Realize that. Don’t judge yourself more harshly than is fair. What did you and your coach decide is a realistic frequency of training? Have you stuck with it? If not, why not? Did the goal prove to be unrealistic? If so, change it. If not, is it not a priority for you? If not, why not? What is a higher priority? Write this down. Introspect. Disconnect from the emotional and objectively evaluate your life for a few minutes. This will help you make logical decision.